Red Apple, Kyrgyzfilm, 83', 1975, director Tolomush Okeev, film based on novel written by Chingiz Aitmatov "Red Apple". Synopsis. Temir sees an uncommonly beautiful girl, falls in love with her from afar, secretly watching her in the crowd. But his lofty feelings are shattered by the prose of everyday life. He tries to give the girl a red apple, the symbol of his dream of happiness, but his move is met with misunderstanding and even enmity. Several years after the devastating incident, which he still cannot forget, the character starts a “normal” life, starts a family, attempts to achieve harmony between the past and the present. 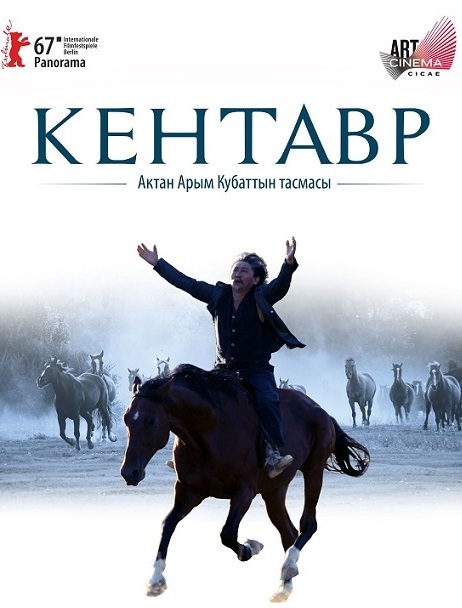 With a voice that speaks as if from another century and with the popular appeal of a fairy tale, this film tells the saga of the metaphysical bond between horse and humankind and how the former ended up becoming wings for the latter. 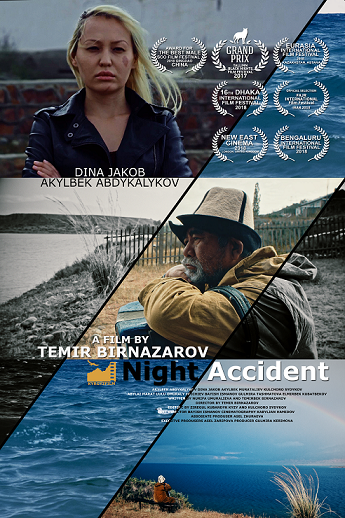 Night Accident, Kyrgyzfilm, 90', 2017, director Temir Birnazarov, film based on novels written by Talip Ibraimov. A 70-years-old man is driving a car being mad, and suddenly he runs down a young girl. Since that moment affectionate sentiments start to appear between them.